Homemade dog treat recipes are becoming more popular with pet owners as shop bought treats are getting more and more expensive. And depending on the type of dog you have, you have to look at thedog treat size and find the ones they’ll like. 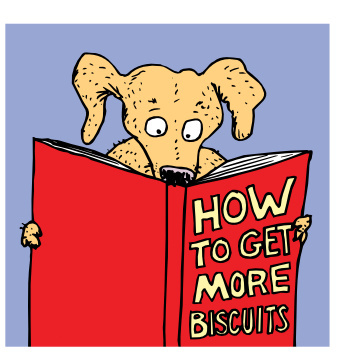 Dogs of all sorts can be picky about their treats just like cats. To ensure your dog will love the treats you give them, try making your own dog treat recipes. Beyond just saving money on dog treats when you have food that is good for them at home, your own dog treat recipes can be better than what is offered in commercial dog food treats. We took a look at some real yummy treats your dog will love that are easy to make. 1. Beef Dog Cookies – All Dogs love beef. margarine or butter wrappers to grease your pan. Flatten slightly or cut into shapes. Bake for 12 to 15 minutes until brown on the edges. You can store these beef dog biscuits for up to one week in your refrigerator. 2. Doggie Muffins – This is a good treat full of the carbohydrates your dog needs. Dissolve your yeast in ¼ cup of warm water and then mix all the dry ingredients together. Add the rest of the ingredients—this dough will be stiff! Drop doggie muffins from a teaspoon on an un-greased cookie sheet. Bake in preheated 300 degree oven for twenty five minutes. Make sure you let cool before giving to your dog and store in an airtight container. 3. Oatmeal/Carrot Drops – A special treat. Preheat your oven to 350 degrees Fahrenheit. Stir all ingredients except flour. The add flour stirring gradually. Drop with teaspoon on cookie sheet and bake for 15-20 minutes until brown. Let cool off and store in airtight container. 4. Canine Carrot Cookies – A smart veggie cookie. Combine your carrots, eggs and garlic and mix until smooth. Add your dry ingredients. Roll out on floured surface and cut into bars. Bake at 300 degrees Fahrenheit for 45 minutes or until crunchy. The centers will harden as they cool. You can brush these treats with egg whites before you bake for a glossy finishing touch! Beat the eggs in a bowl and add hot dog slices. Scramble that eggs and hot dog on stove and make sure it’s fully cooked. Add shredded cheese and wrap in a tortilla. If you have any extra potatoes from breakfast add those too! You can also use your imagination for home made dog treat recipes, but make sure not to add chocolates, nuts, raw vegetables, or fruit. All of those things can be bad for your dog. Also, don’t forget to stay away from seasonings like nutmeg and cinnamon; these can cause tremors in your dog. Have fun with yourdog treat recipes and your dog will love you forever!